Grant-making organizations of all shapes and sizes, including foundations, academic institutions, government agencies and corporations. Move towards your mission, faster. 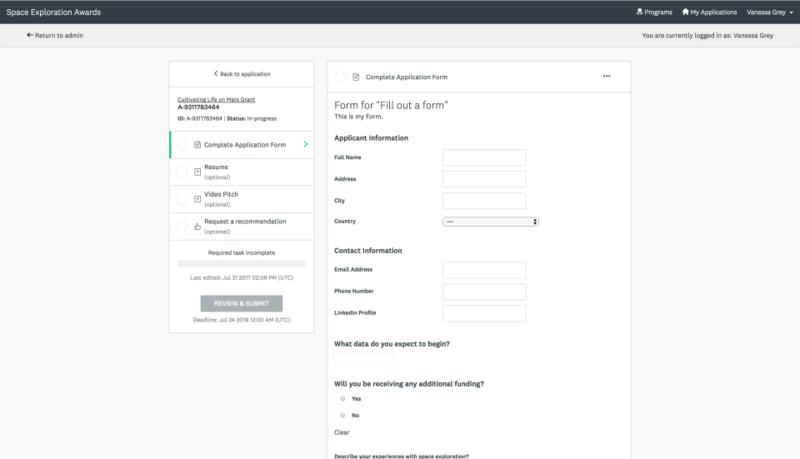 Create a frictionless grantmaking process with SurveyMonkey Apply (formerly known as FluidReview). 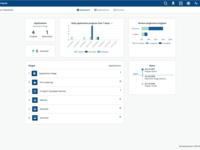 Seamlessly collect and review applications online, save time with robust automations, gain insights with powerful reports, and more. Special non-profit pricing is available. SurveyMonkey Apply Reviews Recently Reviewed! Pros: The training and onboarding was awesome. What could have been intimidating learning new software was paced so well, with training videos I could re-watch and plenty of support in helping us get set up initially. Support continued through each stage of the scholarship cycle. The "lite" version of Apply was a perfect fit for our small scholarship program. The dashboard data told us how many students explored the site, even if they didn't submit applications. We never knew this before. We completely replaced our old manual processes with efficient, automated systems, saving hours and hours of staff administration time. The members of our review committee found it so intuitive to use, they were able to review materials and score applicants without help from our staff. Apply kept everything organized and accessible. And I was so impressed by the level of service from the Apply team. The decision to renew our subscription is a no-brainer. Cons: I have no complaints regarding Apply. While the scholarship application form can be customized to a high degree, there are one or two fine points where we had to work around the limitations. But everything can be accomplished that we need. I know the price is more than reasonable for what we get, but it can be a hard sell to the board of trustees of a small nonprofit organization who would rather put the money toward scholarships. Because they don't all work with the software, they may not realize the huge advantages. I have to explain that it's our "mission-critical infrastructure investment." Overall: If I had a fantasy about the perfect scholarship management software, Apply is even better. I never imagined we could get so much in one package, and that's the "lite" version. The students were able to complete their applications online; the staff could see exactly what the status was of every application; and the review committee moved through their scoring tasks efficiently. All in one place. It was so logical, and we adapted to it so readily, that it seemed like it was just made for us. Love that! Recommendations to other buyers: Take all of the training available so you know what the software can do, even if you don't need all of those features today. Give yourself plenty of time to train, configure, and test before going live. Find some testers who know nothing about your program to try it out and give you feedback. Coming out of the gate with a polished product is so worth it. Allow two months lead-time at a minimum. Three would be better. Pros: This software is saving paper, time, and money. This new system can be accessed anywhere at anytime. After processing paper applications for 28 years it is a nice change. Cons: We had a bug in the system that merged a couple of our applicants when creating a user upload and we really never figured out why. Overall: We have been processing paper applications since 1979 and we have finally gone from paper to portal in 2016! We collected bids from three companies and Apply was able to provide everything we were looking for and they were able to make suggestions on improving our current process through the online portal. While working with Maureen in getting a quote, she was very precise in knowing our needs and meeting them. Once we made our decision to use Apply I was introduced to Becky and she was very patient with me and worked at my pace when necessary. The online tutorials were very helpful and I appreciate that I can still go back and review them today as a refresher. We are launching our site in several different stages over a year time span so Becky was able to email me detailed notes for each process, which I have put into a reference notebook. I was apprehensive about ending the portal building stage with Becky, she was my rock, but every time I have had a question since then someone has responded to me very promptly either by email or phone call, when I have requested. It has taken some time to get used to the site but it has become user friendly as time goes by and I am able to tweak the system as I obtain feedback from our users. I was so excited when during our first launch I would just sit and watch the portal in amazement as students were completing their online documents. I have since limited myself to checking the portal during office hours only. I remain very excited about our upcoming launches within our new system. Recommendations to other buyers: Just have patience with yourself during the learning process and practice, practice, practice. I received a comment from a reference I called and he told me "once it was up and running it was great" and now I understand what he meant. It takes time and quite a bit of work creating the portal, for both the builder and the person it's being built for. It IS a lot of work but it is worth it. Pros: I like that Apply is set up to be user-friendly and highly customizable. I feel like it is flexible and that the support team really tries to listen to feedback to make positive changes to the site. The site itself is modern and has many amazing features such as being able to "assume" the role of an applicant, which, for example, allows you to troubleshoot in a very effective way. Cons: The learning curve is initially steep. I am well-versed in learning different types of software and various proprietary applications at my organization, but Apply is not precisely intuitive when you first start out learning the software. Furthermore, while there is often an easy solution to simple problems, getting to the solution often requires a more abstract problem-solving style to find the correct workaround for an issue. Over time, through the training videos, using the site, and the help of your onboarder, you learn the system and its features and it all starts to make sense. Overall: Apply is a great fit for our needs. Our organization takes submissions for multiple grant applications with different branding and this site makes accommodations for this. I find that the site functions well and becomes easy to navigate over time. Thankfully, the onboarding process was smooth due to the patient vigilance and assistance of our onboarder. The preliminary training videos are also very helpful with getting acclimated to the site. I look forward to using Apply for many years to come! Recommendations to other buyers: Take the training videos seriously, and make sure you have many, many dedicated hours to spend understanding and operating the site early on. It is essential that you put in lots of hands-on hours to test and make changes during the onboarding process. Take full advantage of your onboarder because although the site often has a solution to a problem, the solution may not be something you will be able to figure out on your own (at first). Know that over time you will get used to the site, and the way it is organized will start to make a lot more sense. Pros: I like the ease of use. Applicants are really responding to our system. I am assuming they are finding the process easy and quick to use. The best part of Survey Monkey is the tech support I receive. They do an excellent job of walking me through my problems and help me troubleshoot any issues that arrive. Cons: I don't like that I have to send separate emails from several pages or I have not figured out how to send to all. For example: I needed to send 81 emails today. One page shows 50 and then I have to go to the next page. Overall: Excellent. We transitioned this summer from fluid review to Survey Monkey. It was easy for the onboard specialist to fit all of our application process into Survey Monkey. Also we received training on the new system. Thank you for taking the time to provide this review. It¿s great to hear that you find the solution easy to use and that applicants are responding well to the system. Your comment about sending separate emails from several pages did catch my attention. I would love to connect with you to understand the emails you are sending in more detail and explore a solution to this pain point. I will follow-up via email. Thank you again for taking the time to provide feedback and we look forward to continuing our partnership. Pros: The customer service is easily the best thing about working with this software. Always accessible and very helpful. SMA offered free on-boarding support at the start of our term, and we receive an additional few hours each year - which are incredibly helpful for evaluating our applications for improvements on a regular basis. Cons: There honestly isn't much to dislike about this software. If I had to pick something it would be an improved capability for language translations and support in that realm. SMA is not currently offered in many languages yet, and the transition for the ones available can be costly and time-consuming. Overall: As a nonprofit organization that offers emergency assistance to food service workers, we rely heavily on having a reliable application system to maintain all of our records and make the application process as simple as possible for our clients. SurveyMonkey Apply's platform is built to allow us to develop our applications from the ground up with a lot of flexibility for customizing each one. 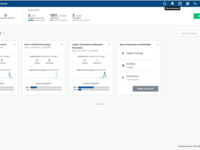 The fact that it connects to Salesforce, the CRM we currently use, is something we are really excited about as we contemplate the possibilities. Pros: Affordability, backend usability, regular improvements. Cons: We do not use all of the functionality of the software on the review side, but this isn't really a con - we've been able to figure out a workaround every time. Overall: We receive over 400 applications annually for our summer programs, which draw gifted young classical musicians from all over the world. Apply offers us an affordable, easy-to-manage solution for hosting our application, comprised of a written questionnaire and video submissions. While we utilize a breadth of features on the application side, our review side is much simpler - we do not use the rankings, scales, or comments - we've set up the system so the reviewers can view the application material, and that's it. We've used the software in the last five application cycles, and over the course of that time have seen regular improvements to both the backend and frontend interfaces. Apply even custom-built features for us; when they learned one of our reviewers needed to watch the videos on a mobile device, they customized the platform quickly so he could do so. They expanded the storage capacity, which enabled our applicants to complete the video submissions more efficiently. Overall, we're pleased to continue to use the software into the future. So glad we went with Apply! Pros: Professionalism of staff, ease of use, ability to change our platform ourselves as needed, and the ability to build reports on any piece of data that we collect from our applicants. We even have happy reviewers use the system. Overall: From the day I first met the Apply salesperson, I've been impressed with the professionalism and thoroughness of everyone on the team. Their product functions exactly as they claim, and they work closely with clients to customize each organization's platform. We use Apply for our grants and scholarship programs, and although there are similarities in our use of the platform, they were customized to best fit each time of award program. The help desk is responsive, the on-board team is accessible and explains how best to use the system that they create with your input. 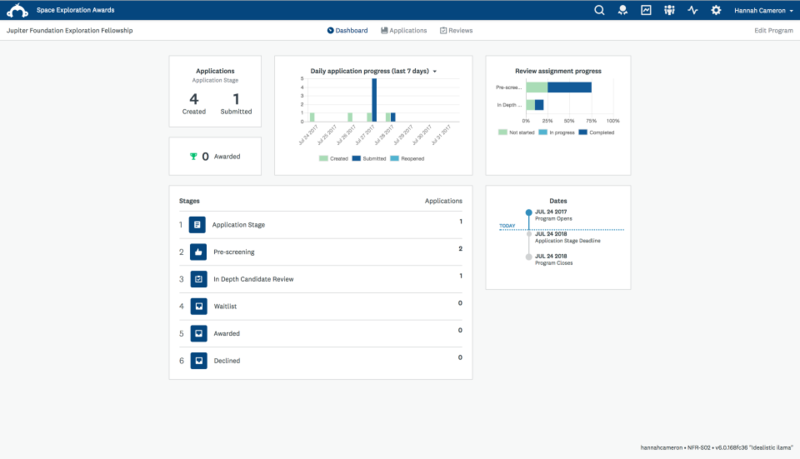 One of the great features of Apply is that we, the administrators, can go in and tweak the application, build reports and communicate with our applicants through the system. We've been through onboarding, one full year's cycle of scholarships and grant making, as well as an annual review and subsequent tweaks, and we're in the midst of our second round, and we couldn't be more pleased. Recommendations to other buyers: Keep going and responding to the needs of their clients, which they've always done so far. Pros: We find that building forms that are unique to each grant program is very easy and customizable. We used to have a contracted graphic designer make all the edits to our PDF grant forms. Now we can make edits ourselves, and quickly. It's very easy for applicants to use. We can download applications right after the deadline and quickly and easily know how many submissions we have and from who. 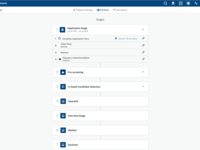 The drag and drop form builder is very user friendly. The new Awards site works very well for us to manage our 14+ grant programs. Overall: We have found that Applyhas streamlined the intake process for out 14+ grant programs that run annually and get 40 - 200 applications. The majority of our applicants like that our grant programs are now online and that they no longer have to submit paper applications in person to us at the office on deadline day. The customer support has been great and personable. Cons: Sometimes I deal with people who like a simple picture and are easily confused by different routes to the same goal, or too many alternatives. Easily dealt with by giving them a specific path to follow, but it took me a while to figure out that occasionally the system can look complex (when it really is just flexible). Overall: If it were possible to give more than five stars for customer service, we would. We have had a positive experience with Apply from the start of our build more than two years ago through daily use by our staff, funders, and non-profit clients. Recommendations to other buyers: We've found it to be flexible, expandable, dependable, and even rather fun to use! This makes it by far the best product of its type in our experience. Pros: I like how easily customizable it is. We already had an idea of how we wanted things to look and Apply was able to deliver the application questions in the format we wanted. I also really like the automatic emails that can be triggered on an action. That makes communicating with applicants simple. I also appreciate the ability to "assume the role" which makes it easy to understand what the applicant is seeing. Cons: The only thing that I wish it had was a communication log. However, because emails are automatic, we feel confident that the applicant has received the information we have sent. Overall: Albany Law School was in a time crunch to get our Master's in Legal Studies application up and online. We gave Apply a tight deadline and they were able to accomplish the task quickly and professionally. The representatives we worked with were knowledgeable about how the product worked and helpful about best practices. We felt confident from day one that we would have a quality application process that would make both us, the reviewer, and the applicant happy. Any time we had questions or wanted to make an adjustment our Onboarding Specialist was quick to respond, often coming up with solutions that were better than we expected. Recommendations to other buyers: I would suggest having a plan in place when working with the Onboarding Specialist but to be flexible. Often times Sarah, our Onboarding Specialist, was able to improve our process because she knew what Apply was capable of and exceeding our expectations. Also, dedicate the time to testing the process, you'll be glad you did when applicants have a great experience. SurveyMonkey Apply (SMA, formerly FluidReview) has a Draconian refund policy: No refunds allowed! Pros: There's really nothing we liked about SMA because we never got as far as being able to use the software for our grants program. During the implementation process, it became clear that there are several significant flaws in the structure of SMA. As an example, SMA/FluidReview was developed for the Canadian market. As such, the organization information form (which cannot be changed) asks for CITY and PROVINCE. There are no fields for the US market such as STATE and ZIP CODE. Yes, you can add custom fields for STATE and ZIP CODE; however, these fields will appear at the end of the form away from the rest of the address information. And adding custom fields does not remove the PROVINCE field. The implementation person we worked with suggested that we ask for a US-style address on our grant application form, thus duplicating data entry. Using work-around solutions (kludges) was the order of the day. As another example, formatting for the budget form that was created for us was chaotic and confusing. Some number fields had one decimal place, others none (and not the two decimal places we were expecting). Some fields had a US dollar symbol; others did not. Again, we were told that SMA/FluidReview was developed with French formatting conventions in mind. Early on we did not see any way SMA would produce an elegant, easy to navigate solution designed for use in the US. It was at this point that we encountered the aforementioned refund policy. Cons: The implementation process did not go smoothly for us. We were asked questions about our current grants program, which is rather simple: we use one web form hosted by Formstack. The implementation person intended to simply replicate our current grants program. This made no sense to me. We were never given the opportunity to understand what features SMA could bring to our grants process. I'm not sure how this type of implementation process would work for a foundation that is just getting started or is using an informal paper-based process. These implementation questions would be overwhelming. The biggest problem with SMA (and other similar grants software packages) is the amount of time and training expected of an administrator. These grants software packages expect that there will be one person within a foundation whose responsibility it is to administer the software. During the implementation process, it became very clear that SMA expects that administrators would devote significant time to not only training but also administrative duties. Sadly, there is no structured training program, no technical manual. So, training would be catch-as-catch can (a video here, an article there). Without someone on the foundation payroll who has a high degree of technology knowledge, SMA would be a very tough go for small foundations with few to no staff. Before you commit to SMA/FluidReview, make sure you have an administrator with a high degree of technological knowledge (and patience). Thank you for taking the time to provide this review. We would like to apologize that your experience has not met your expectations. We are always looking to improve and your feedback is critical to that. We would like the opportunity to address the concerns you¿ve raised as there may be a misunderstanding on the some functionality. For example, organizational profile is country agnostic and can be configured to align with the United States, Canada and other countries. We have users from around the world, and they can submit their address in any format. We will reach out to you directly to discuss further. We aim to ensure that all of our administrators feel supported and trained with the solution. We understand that learning a new software can be challenging and have built a comprehensive database of training videos and articles for our administrators. We also offer one on one training if you prefer this option. Pros: I liked how the implementation specialist was willing to answer all of our questions and work with us on our incredibly complex process to make sure our end product met all of our needs. Cons: There are a few features we wished it had, but we understand our application process is far more complex than most organizations. Overall: We were able to streamline both our application process as well as the 2 year grant cycle process so it is all in one platform from application through review and then any subsequent reporting requirements of our subgrantees. Hi Michael, Thank you for taking the time to provide this review. It¿s great to hear that your experience with the implementation specialist was positive and that they were able to work with you to design a solution that fit your process. We would love to learn more about product features that would benefit your organization. If you¿d be willing to connect with us about this, please reach out to our customer success team at smapplycsm@surveymonkey.com. Thank you and and we look forward to continuing our partnership. We asked for a lot of customization and they delivered well. Pros: Dynamic nature of judges and rounds. We have a competition with many, many rounds and hundreds of judges. No other software could manage it this easily. Cons: There is no messaging automation. This is a burdensome tasks to manually send out messages after round completion. In addition, there is no drip capability. If this is something you would like to explore more with our team or if there are other improvements you would like to make, please reach out to our Customer Success Team at smapplycsm@surveymonkey.com and we will be happy to assist. Thanks again for taking the time to provide this feedback! Comments: As a part of my role at Teach For America, I manage two teaching awards where we had looked for an online platform to manage our applications. My immediate team had used Apply last year, but only with one of the teaching awards. This year I had joined the team as a new staff member, and we were looking not only to add another application platform for the second teaching award, but we also wanted to build out a separate nomination platform. I am new to Apply and struggle overall with technology, especially navigating platforms. My team and I were lucky to work with Christian updating our existing teaching award application platform, building out a new platform, and creating a new nomination site. We initially worked with Mike and then Christian was assigned to us in the middle of our planning conversations. He quickly learned our context and figured out our needs in a short amount of time. It was rightfully challenging to figure out what was happening, but Christian did so with a lot of patience. We also needed to launch everything on a VERY tight timeline. We first spoke with Christian at the end of September and needed both new sites ready by November 2nd. Christian owned getting us organized by scheduling calls with us, checking in to follow up, and was able to meet our tight timeline. When we have talked with him, he is patient to talk with us, dedicated to getting answers to our questions, and resolving our needs/concerns. He has also been overall responsive to our emails. He was honest when the Apply site cannot be changed to meet some of our unique preferences, but brainstormed ways we could get around some of the hurdles. We have been happy with the Apply site and the customer service that has been provided. I highly recommend Apply and their services!! We have been using this product to award safety grants. We have had two cycles so far. Pros: It's fairly intuitive from the admin side. I like how easy it is to make changes to the homepage and link to resources. I like being able to set up automatic trigger emails. Very happy there is a new version (SurveyMonkey Apply) coming out next month!! Watched the demo yesterday and it will certainly address many current issues. Cons: The reporting capabilities do not produce anything my superiors would like to see on a regular basis which causes a ton of manual work on my part. Also the users get frustrated with not being able to easily understand the flow of what they are to do. Cons: Standard reporting - less standard reports that expected. Would like to be able to create more reports within the system that are suitable for distribution. Most reports must be edited outside of Apply for presentation purposes. Ordering of reports - would like to be able to dictate how reports are ordered. Currently ordered by date of creation. Overall: Our organization successfully replaced its application tracking system with Apply in 2015. The first year we worked closely with the Apply onboarding team to build a program that allowed us to manage over 140 individual scholarships and approximately two thousand applications. The many options and features of Apply have allowed us to build a system that is easy for the applicants, as well as, the reviewers to navigate, while allowing us to successfully manage the processes. The onboarding and support staffs respond timely to questions and continues to assist us in customizing the system to meet our highly-individualized requirements. Comments: We've been with Apply for two annual application cycles and are about to begin our third. We can't say enough positive things about the tool and it's capabilities. 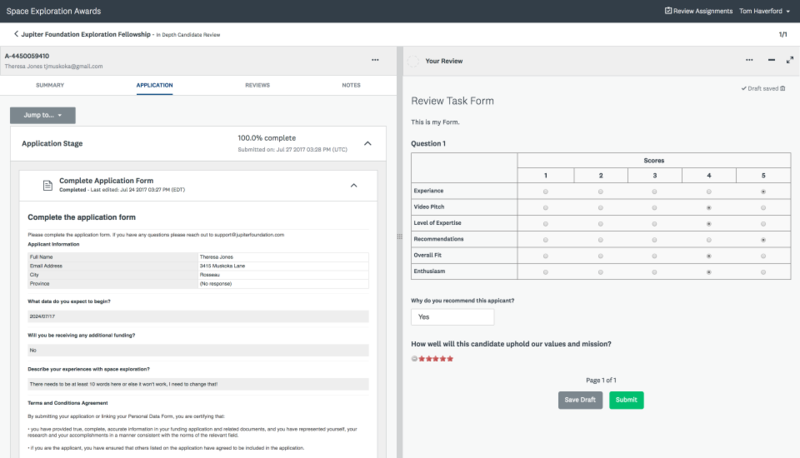 Applying, reviewing and scoring applications, and accomplishing administrative tasks (emailing applicants) on the back end is more improved and seamless than we could have hoped when we first switched to Apply from an in-house application tool. I would recommend Apply to anyone reviewing applications, whether it be a small, medium, or large organization. Pros: There aren't many other options for project evaluations, so we really appreciated the fact that this provided us with an applicant portal to do our work. In the past, we used a spreadsheet to do a similar (but less clean) functionality. We like that everything in the backend is streamlined (emails, reviewer emails, applications on the site, reviews on the site) and clean for each user. The homepage also provides useful statistics that helps us understand how people are interacting with the application. Cons: As mentioned above, it isn't the most user-friendly, especially for non-technical people. Often I'd find myself poking around the administrative view to find one specific setting that was buried a few clicks into the page. I'm not sure if it's a language challenge (i.e., an option could be labeled more clearly) or if it's a flow design challenge, but it's not always the most intuitive. Overall: The software has a lot of functionalities, but it isn't always the easiest to remember where to find some of the options (the combination of different homepage tabs, links, page tabs, and sub-settings). Our group paid for an extra SSO functionality, but since we aren't well-versed in CS, we didn't know how to implement that functionality. There was an expectation that someone on our end would be able to implement the SSO but we did not know what type of person would know what to do and we didn't know what exactly the problem was (it was a lot of middle-manning from the developers to the on-boarding specialist to us and back and forth))--and we still don't have that functionality implemented. Cons: There are a few things that I would like to be able to do and I am not able to. Not a huge deal. Overall: This is my second year to use Apply and I am very excited to continue to use this product. Last year, Apply helped me manage all of the paper that comes during an application cycle. I was able to view online who has completed what sections, email reminders about deadlines, and download complete applications. This year I plan to bring my current students online, and my onboarder this year worked with me to help set this up as I had envisioned, which makes me even more excited about Apply. Carmelita listened and asked the right questions to make sure we setting this up the best way and utilizing all the system could offer. Also, I want to note that the day to day support is great as well. They generally respond within the hour to any problems. Pros: Modern design, has advanced features and is easy to use for reviewers and applicants. Given complexity of site and the fact that the advanced features are buggy and do not work, these pros are not worth it. Run away and don't look back. Cons: Very high learning curve for administrators. This site build and structure assumes the administrator has a level of programming knowledge, which is very unrealistic. Every process, action, and set up is overly complex, and is not built to easily support archival of data. For example, changing a small field on the application form means risking the deletion of past archived data. Why not just archive the form and create a new one? Not allowed because you have a limit to how many programs you can create. You need to make 6 clicks navigating the site for a small task that should only require 1 or 2. For example, you need to create new users in the Manage Users page for the ENTIRE site, and THEN navigate to the specific program and click a button that switches between editing and monitoring the program, then start a new application for them, then click 3 more things in order to email them or assume their role. To assign reviews, you need to maneuver through three different parts of the website when it should all be housed in one. Implementation and support is inefficient, scripted, detached, and aware of many existing flaws but unhelpful to solve. Many intuitive ways to streamline the administrative site are not implemented although they have been requested several months ago. Pros: How turn-key it is, and how it makes it easy to judge online. Cons: There are a lot more bells and whistles than we probably need for our competition, and there wasn't a way to pay for all entries at once after you'd entered. Overall: We elected to use the software for a marketing competition, rather than building our own custom site. Apply was able to do a lot more than I expected for an off-the-shelf software solution. I'm sure there are features that we haven't even discovered yet! The service was great - they explained everything very well and were always very patient - which was very much appreciated since it was the first time we were using their software, and the first year we were putting on our awards show. Amazing tool every company needs to use! Comments: Apply program from Survey Monkey has amazingly transformed our HR department. With FR, I have been able to help our HR team move from paper files, 1000s of emails, high stress, and challenging communications to smooth operation with automated notices, internal operating transfers from stage to stage, and present a professional open communicating presona to our newly hired employees. I can't wait until next August when we start using the full range of the Apply program with even potential employees. ISP no longer have to keep different email folders on all it's new employees with 3 different staff members, chase paper files being passed around the office, or worry about our new employees wondering where they are in the "hiring process". 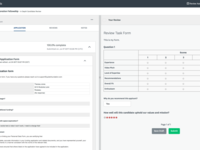 With the Apply system we have automation in place, files can be viewed by multiple HR team members, and notes can be made to track progress. Our on-boarding specialists (Christian Cusson) has been a wonderful guide and full of information. He has been willing to call me internationally with little notice to help me fix my learning curve errors and happily double checked my work when asked. He was very cooperative and flexible with our team and we felt comfortable asking him questions or even admitting "we don't know" or "we can't remember". Christian made this whole transition smooth and was a key to our success. Comments: We bought a program for two very different award programs under two different association names. It was the most economical way to do this. We found out the two groups are quite as separated as we wanted and probably was not explained well enough in the sales process. It is a lot to learn when you are busy - as we all are - and we were on a short time frame after making the decision. Overall, it seems easy to use but not all of it is intuitive. However, with repeated use, I can tell as an administrator it will get easier and easier. But allow yourself more than 6-8 weeks (with holidays and travel mixed in) unless you can devote your full attention. We did launch the program about 3 weeks ago and I've heard very few problems. Mostly, people don't realize they have to open an account (separate from the one with our database) to start the process. Otherwise, I know everyone is loving that they can login and out to make changes to their entries and only submitting when they are ready. This system is getting rid of a lot of copying and shipping costs. Because we don't have to have items shipped to us, we were also able to give them a week extra until the deadline. More time will tell but on the front end, it seems to be working great. On the back end, we're still learning the program. Pros: Simple and straightforward system that is easy to operate and understand; expert support for developing, onboarding and understanding the system. Cons: Training needs to be more adapted to the needs of the user. I used a simple application but have been introduced to all aspects of the system. Overall: I have used Apply for an internal grant application. It was a pleasure to work with the specialists from Apply, they were a tremendous help in guiding the process, providing very good training and assisting me in understanding the system. Apply itself is a very straightforward and simple system to operate. Everyone knowing Survey Monkey can work with Apply. As simple as the system may be, it also offers many options to optimize and adapt the system to specific wishes and requirements. Recommendations to other buyers: Making the reporting part of the system less complex. Making the layout and design of the system more adaptable - colors and typography. Adapting training to needs of the client. Comments: Apply is a user friendly tool that has the capability to grow with your needs. We used this as a mechanism for potential applicants. It was simple for the end user and as the administrator, I was so pleased at how easy it was to use-- both in creating forms, and running reports. The customer service went far beyond my expectations. She was helpful and readily available-- clear commitment and she worked very hard to make sure that our application was what we needed it to be. She was an excellent teacher who walked me through every step, and therefore providing me with the skills to manage and tweak our system as needed. The customer service is absolutely phenomenal! The analytics were so simple to use. We exported data, ran various comparative and simple data reports and have been able to maximize our data in a way that we were unable to do before Apply. We are still referring back to the original data and have determined ways that we will use the system to update data annually. There are so many options that we have not yet used, but we are confident that as we grow, Apply will continue to meet our needs. We are extremely pleased with Apply! It is well worth the cost and has made our program so much more efficient. Overall: We recently modified our FR account to include conference presentation submissions and reviews. The process was smooth, staff was incredibly helpful and our reviewers have loved using the system! Huge improvement to our application process! Overall: Sarah Wong was a fantastic onboarding specialist, who led us through a successful implementation with ease and the most responsive customer service I've ever experienced! Apply has helped us drastically improve our application portal for users and increased functionality on the back end for our team. Recommendations to other buyers: It's important to understand your internal process beforehand! Setting up the workflow will inform everything else in the site, so it was vital for us to figure out how we wanted the process to work up front and what exactly our needs were. Cons: We would like to see a few more review options for scoring. Overall: Excellent software, meets our needs and allows us to be efficient. Comments: We signed up with Apply in September 2015 as we were ramping up to our busiest granting year ever: 6 different grants on offer all with overlapping timelines and different requirements. Ours is not the simplest of granting processes, and Anna, our onboarding specialist, was amazing at helping us get everything set up to work the way we needed. As with all products that aren't specially built for you, there are some things that we wish could work in a different way for our situation, but these things are minor and really are particular to our way of working. Anna and the whole support staff are always able to offer us great guidance on how to use the system in the best way possible, and they are always open to improvement suggestions. I'm happy to say we have made it through the RFP, application intake, review, and award process of 5 out of 6 of the grants so far, and applicants and reviewers have been thrilled with the ease of the process. I can't imagine having gone through this granting season with our old archaic system! So thankful we found Apply! Next year's granting cycle will be a breeze now that we have this all set up. A simple software with outstanding service! Comments: Our nonprofit organization was in need of a simple platform to host our grant application and found out about Apply. 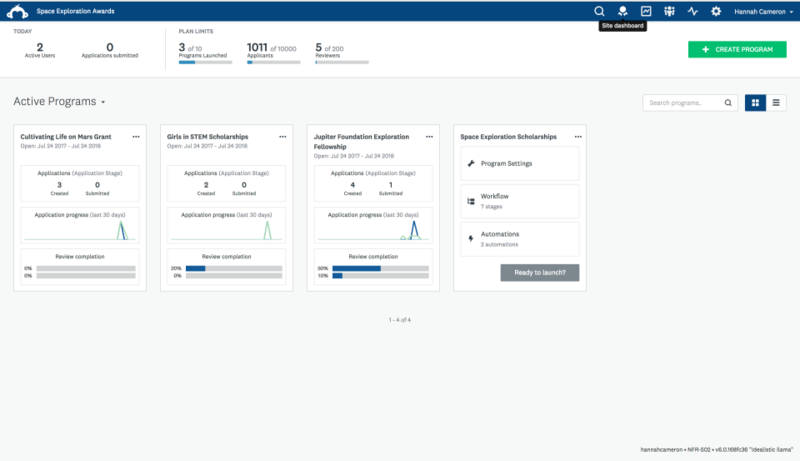 Moving from a paper process to a digital platform, we desperately needed something to help streamline the processes for both our organization as well as the applicants. Apply was a perfect fit! The setup was very intuitive and allowed us to create our application with ease. 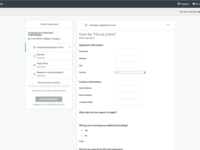 If you've ever worked with Survey Monkey or other form builders, the forms are very simple to understand. The numerous workflow processes allow us to automate many steps in our program. We can setup reminders, deadlines, forms, digital signature, and more to be sent out at specific times. The dashboard and report builder gives us access to all data that we need to report to our Board and sponsors. As great as the software has been, the best part was the service provided by Apply. The onboarding specialist was very professional, walking us through every step of the build and quick to answer any questions that came up. Overall, we are extremely satisfied with Apply and would recommend it to any group looking for a very intuitive software solution. Amazing onboarding support with Alex with FluildReview! Comments: Be ready for an amazing team of support when you begin your onboarding with FluildReview. Alex provides an ease of learning from start to finish when your learning objectives are in place with a preview which then escalates to a follow along on the screen together to get your site "built" in production. My first thought was that we would have to build our site alone from the start after previewing the online video. We were surprised prior to the walk thru online, conference calls guided the foundation to the skeleton of our new admission site. Alex executed the verbal descriptions to the new foundation to move forward! Alex smoothly incorporates the triggers and specifications to enhance the preferences you want to see with a reassuring tutorial as you work together. Looking forward to resource material to aid as "cheat sheets" for quick reference including key words and definitions applicable to this product. Make FluildReview your choice it is a solid well enhanced customer support product. We recommend this as the product of choice after reviewing various other products and local design products. I found Apply after being frustrated with another company's lack of ability to adapt their product to our needs as opposed to forcing us to adapt our needs to their product. We were not successful in having everything we asked for, but when an issue comes up, there is a genuine desire to help make it work and 99% of the time it does. I am sure this is sound business. However, dealing with the people at Apply, this also comes from a staff with the humility and understanding on the part of Apply that by listening to the customer you actually learn more about your product and working with them helps make your product even better for others. This human component makes this company truly unbelievable. Regarding the product itself: We have a very complex application and review system, yet, the management of the back end is quite simple once you master the basic principles. If you are a bit technical savvy, what you can do with this product raises exponentially. Pros: Flexible and well designed. Reasonable priced compare to similar software. Overall: The software is robust and was able to accommodate our very specialized and varying needs. The onboarding specialist was knowledgeable, patient, professional and very easy to work with. The company has a very good onboarding process that takes you through every phase of implementation and execution. Easy! Every aspect of what I needed was thought of and provided through an easy, seamless set-up! Pros: The whole process from initial consultation to our program set-up moved smoothly. Learning a new platform can be challenging so I was a little nervous however the program is well though out and the training and support was great. The program is super easy to navigate through and to administer. I am looking forward to the next few months of having our applicants and reviewers use the program. Cons: Not sure yet, just getting started with it but so far the whole process has been a wonderful experience and easy for me to get started with. I am not sure if the annual cost will be a limiting factor down the road to maintain depending on what other additions we might want to add on. Overall: A complete all in one package that takes the headache out of the more manual way were running our application process. From a management perspective it will mean less time spent on user platform/browser issues; processing issues eg missed applications, data entry etc; and a faster turn around time for our applicants because the review will be much easier to set-up. Pros: I like that the format is simple so you can get your survey out and receive information and polls back quickly. Cons: I would like to see more freedom to use other fonts and backgrounds. Overall: Parents respond well when we send out a survey with SurveyMonkey. It is so helpful when we want to see what we can improve on and what we need to change or keep the same. Overall: The system is quick and thorough but it is not intuitive in terms of changing the text on the various messages that the administrators want to send to to other users, or changing the workflow once it has been built. There are also very limited options to change the workflow methodology once user data has started to be collected. Recommendations to other buyers: It was critical that there was a back up of the system and data in it. Understanding that changing an element of the workflow at any stage jeopardises the data held in the system from users should be made very clear to customers and preferably a solution found. Cons: Sometimes confusing finding what I want. Overall: I am the admissions enrollment coordinator for our undergrad program and am the main user/administrator of this program. This program is fairly easy to use but sometimes a bit confusing compared to other programs I use. Tech support is great! Recommendations to other buyers: Tech support is great! Comments: Pros: we were able to get a high volume grant application and review process up and running in less than 3 months. The review process included setting up automatic assignment to reviewer groups based on the answer to a question in the application form. The onboarding support we received was very helpful and timely. The dual pane view for reviewers was a real benefit for users. Apply also has the capacity to provide the site in both English and French. Cons: we've run into some bumps in the French experience for some of our users so there is still maturity needed in the product in this area of supporting multi-language requirements. Apply support to users is currently only available in English. A product limitation is the branching logic options on forms questions and automation triggers currently is not as robust as we would have liked. note that Apply does not manage the financial side of grants (e.g. budgets, payment allocations), but our process was ok to handle this outside of the solution. Comments: I've been using Apply for over a year and a half now. Overall, it's a solid platform for collecting and reviewing applications. I've had to work through an occasional issue every once in a while, but for the most part it's been quite easy to use. + Great reporting features. I export data on a daily basis and I have virtually no problems with gathering the data I need. + Triggers automate tasks that I'd otherwise have to do manually. + On-boarding specialists are helpful and responsive to client's needs. - Many features/aspects of the site are static and cannot be changed (you have to know CSS if you want to customize the look and feel of the site significantly). Limited number of themes available. Pros: Pretty feature full application. The on-boarding process was good. Sarah (Onboarding Specialist) was always positive despite some technical difficulties. Cons: Our difficulties were getting Apply communicating with a custom web service we had created. I think if we were able to communicate directly with Apply's development staff it would have went much smoother. There was also no documentation for this process. Overall: We purchased Apply to implement a corporate grant program. We were able to successfully launch the program on time. Recommendations to other buyers: If your looking to setup a standard grant program Apply is a good choice. Pros: I love how easy it is to create surveys and export them to presentations. I have used SurveyMonkey for years and would recommend it to everyone! Cons: they could be a little more complex, but I guess that's the beauty of it. Apply product is great, but their Customer Service is even better! Comments: We purchased Apply to help manage our programs applications and review process. Each program is very different and so far, Apply has been able to accommodate all of our needs. It has made the application and review process so much simpler! We look forward to building out more programs and making it a part of the way we do business. Apply's product is great, but their customer service is by the far the best we have received working with any vendor. Our onboarding specialist felt like a member of our team and she made it seem like we were her only clients. After initially explaining our program, she seemed to understand it completely and we rarely had to go back and explain anything again. She was very responsive over email or to schedule a call with any of our questions throughout the process (We had a lot of them). She was always very thorough in her response and could explain each option so we could make the best choice four our organization. Pros: I like the ease of typing in questions and the choices of responses. The total feature is also excellent. Cons: You are limited with the types of questions that you can ask. Overall: We have surveyed parents on a number of topics and had great response from our group. Comments: We explored several application--based software options, Apply was far and away the most user friendly and intuitive interface for our team; the applicants; and our reviewers. The workflow designer is relatively simple, and the team that built out our application was very sharp. Our application and review process is fairly complicated, and the Apply team took extra time to understand it and build it out. While we couldn't accommodate every quirk, we were able to adapt and actually build out a better process with the help of Apply. My only major issue was that it seemed the staff was under resourced and overworked during our build out, while our application was open, and during our reviewing process, which made for extra stress during a brand new process that our entire organization hinges on. The help desk didn't understand the nuances of our application workflow, and therefore couldn't give us the best directions to work through problems. Comments: Apply helped The First Tee create online applications for our national Participant Opportunity events. We chose Apply for all of the many options that they offered while creating an application, as well as the options available for generating reports. We are very happy with our applications and even more happy with the Customer Service! If we had a question, our personal Customer Representative would answer that same day, sometimes within a few hours. She personally walked us through training, building our applications, and helped us go LIVE. The only improvement I would like to see is the option of exporting a blank application in a cleaner, shorter format, but all-in-all they met all of our specific and unique requests. For those who know the basics of the technology industry, their software is easy to use. For those who are tech savy, you can really dig deeper into the options that they offer to benefit your business! Comments: One of the best things about Apply is the customer service and support. I have only had extremely positive experiences with the people working at Apply. If you have questions, you'll receive a phone call or an email (your choice!) in less than 1-hour. This is so helpful when an application launch is approaching and you need quick assistance. The customer support personnel are very knowledgeable and friendly. It's also so helpful to receive an email follow up after every phone call to recap the conversations and technical steps discussed. I've been able to create a handy "Tips and Tricks" book for my organization based off of these calls and follow up. Pros: Form development and configuration. UI provides a number of highly configurable HTML components. Workflow and triggers provide and effective way to transition through a complex application process. Cons: Development of a request to an external url was difficult due to an issue with the product and a lack of technical documentation. Overall: Apply provided Missouri Employers Mutual with the training and initial support to develop an application process on time and on budget. Recommendations to other buyers: Would like to have the capability to develop in a sandbox environment and publish to a production environment. Solved so many of our grants management issues! Cons: post-award follow up could be improved... having a place where users could update their profiles with results of the award (publications, etc) regularly would be great. Overall: We are a small non-profit that runs a number of programs requiring review of applications, ranging from grant funding mechanisms to conference presentations. 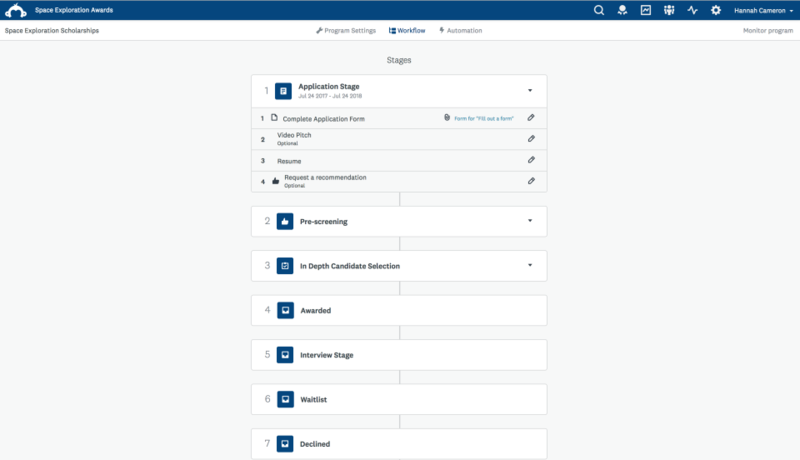 We are implementing Apply for 6 programs and so far I can say it offers a HUGE improvement to managing applications "by hand" with emails and documents and spreadsheets. The platform is easy for users to submit applications and makes reviewing simple and efficient. Plus, having all our applicants in one database and being able to pull reports historically is fantastic. The customer service reps are very knowledgable and helpful, and the system becomes intuitive fairly quickly so its easy to build out your own programs as needed. We're thrilled to be using Apply and look forward to integrating even more with the platform in the coming months! Easy to set up, intuitive to use! Pros: With the help of the onboarding specialist, the program was fairly easy to set up and I really like how easy it will be for our users. The layout is logical and easy to navigate and the administrator training videos were also quite useful in understanding the various ways the program could work for us. Cons: I have not been using it long enough to point out any obvious cons, so far so good! It might be helpful for administrators to have a small "cheat sheet" for frequently used questions/procedures. Overall: Both my account manager, Mike, and on-boarding specialist Anna K. were extremely helpful and thorough and suggested features that would make the program work better for our needs. Anna was great about keeping me on schedule; she stuck to meeting times and proposed deadlines (unfortunately, I couldn't always do that!). Recommendations to other buyers: Its really helpful to use the "assume role" button-- it lets you see exactly what the user is seeing and work through any issues they are having.